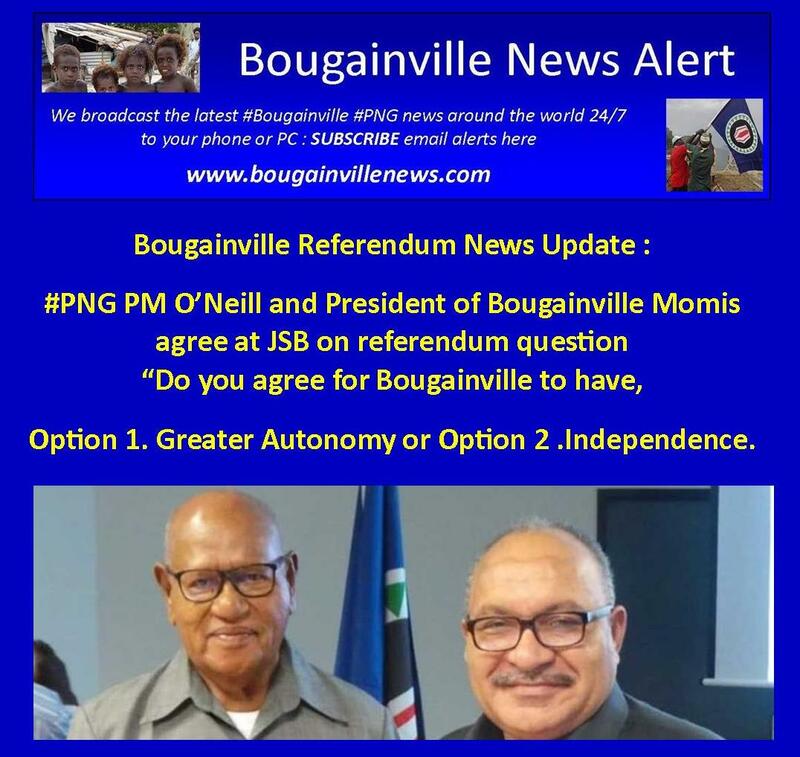 Bougainville Referendum News Update : #PNG PM O’Neill and President of Bougainville Momis agree at JSB on referendum question “Do you agree for Bougainville to have, option 1.Greater Autonomy or option 2 .Independence. ” Bougainvilleans for the first time would be given the right and freedom to actively participate in development through the referendum. Bougainville stands on threshold of a new socio-economic and political order that will define its future. The implementation of the Referendum to decide Bougainville’s ultimate political fate has reached another momentous milestone with the approval of the Question to be asked during the referendum. The Questions to be asked will be placed on ballot papers during the referendum vote for Bougainvilleans to decide whether to secede or continue to remain as a part of PNG. The question has been simplified to “Do you agree for Bougainville to have, option one Greater Autonomy or option two Independence. During the referendum vote the ballot papers will be printed both in English and Tok Pisin. The Joint Supervisory Body has agreed that this question is simple and easy to understand by the average Bougainvillean during the referendum vote. The JSB was adjourned from yesterday to today because both the ABG and National Government were not satisfied with the structure of the question. Both governments have since agreed to this question and have endorsed its use in the referendum vote ballot papers. Prime Minister of Papua New Guinea, the Hon. Peter O’Neill and President of the Autonomous Region of Bougainville, the Hon. Dr John Momis today reaffirmed their joint commitment to ensuring the full implementation of the Bougainville Peace Agreement. Meeting in Port Moresby as part of a special meeting of the Joint Supervisory Body (JSB), the two leaders discussed broad ranging issues associated with the upcoming referendum. The two leaders noted the importance of ensuring that the referendum is free and fair, and conducted in full accordance with the Constitution and Peace Agreement. Both the Prime Minister and the President agreed that it was essential that people understand the choice to be put, and the process to be followed once the referendum has taken place. The meeting was also attended by the Chairman of the Bougainville Referendum Commission, former Prime Minister of Ireland, the Hon. Bertie Ahern. Mr Ahern indicated his honour at being appointed as Chairman and committed to working with both governments to ensure that the referendum is conducted freely and fairly. Leaders noted the work undertaken to date by officials to prepare for the referendum and endorsed a proposed budget of K34 million for the coming year. Prime Minister O’Neill undertook to ensure that the budget was incorporated into the 2019 national budget when it is handed down later this year. It was agreed that the question to be put at the referendum would clearly outline the process to be followed after the referendum takes place and would be accompanied by a comprehensive awareness campaign (refer attachment). Leaders agreed to meet again in the third week of January 2019 in Port Moresby at a full meeting of the JSB where further updates would be provided on referendum preparations and associated work to advance peace in Bougainville. Self-determination has been a perennial problem in Papua New Guinea and Bougainville ever since first Bougainvilleans decided to secede from Papua New Guinea. 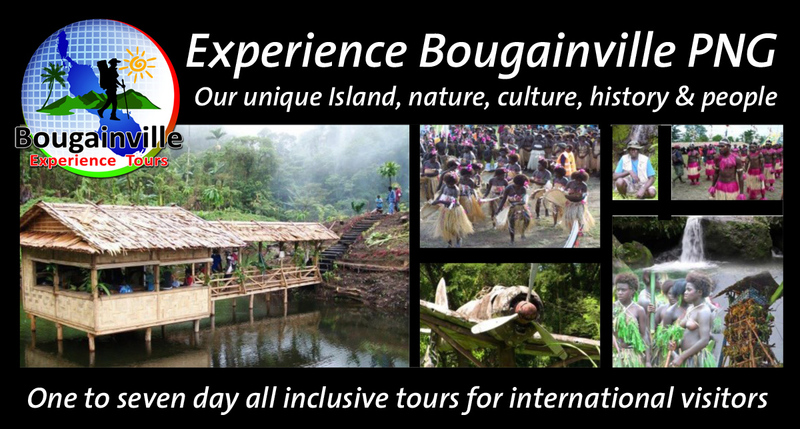 ABG President Chief Dr John Momis says that Bougainvileans have struggle for a long time to exercise their right to self-determination. President Moms says the progress achieved in this JSB augurs well for both Bougainville and PNG. He says Bougainvilleans for the first time would be given the right and freedom to actively participate in development through the referendum. President Momis says Bougainville stands on threshold of a new socio-economic and political order that will define its future. He adds that with a joint effort a good and democratic outcome can be achieved if the process has integrity by fully implementing the Bougainville Peace Agreement. The President also extended gratitude to officials on both government for their tireless efforts in resolving issues pertinent to next year’s referendum. President Momis said this was the beginning of good things to come in the future. Bougainville Peace Agreement, 2001. 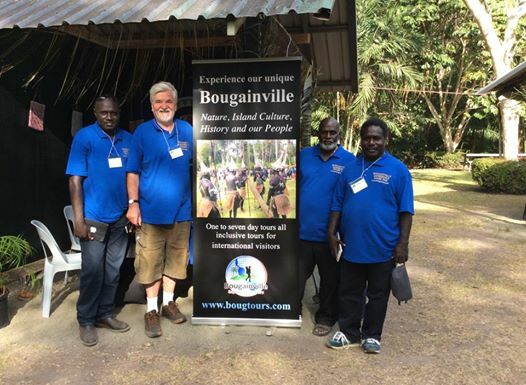 Did you know you can read the Bougainville Peace Agreement online? Go to http://www.abg.gov.pg/peace-agreement to read this foundational document. August 30 marked sixteen years since the Bougainville Peace Agreement was signed, ushering in a new era of peace and unity amongst Bougainvilleans and with the rest of Papua New Guinea. The Governor General of Papua New Guinea his excellency SIR BOB DADAE today signed the REFERENDUM CHARTER for Bougainville in Port Moresby. The Charter now paves the way for Bougainville to speed up its preparation the REFERENDUM that the two Governments had set a target date to work towards. AND the target date is JUNE 15th 2019. This was announced by the Secretary for the Referendum Office, MR. JAMES TANIS in Buka today. MR. TANIS announced during the gathering in Buka that the Governor General has signed the Charter at 2 PM this afternoon. 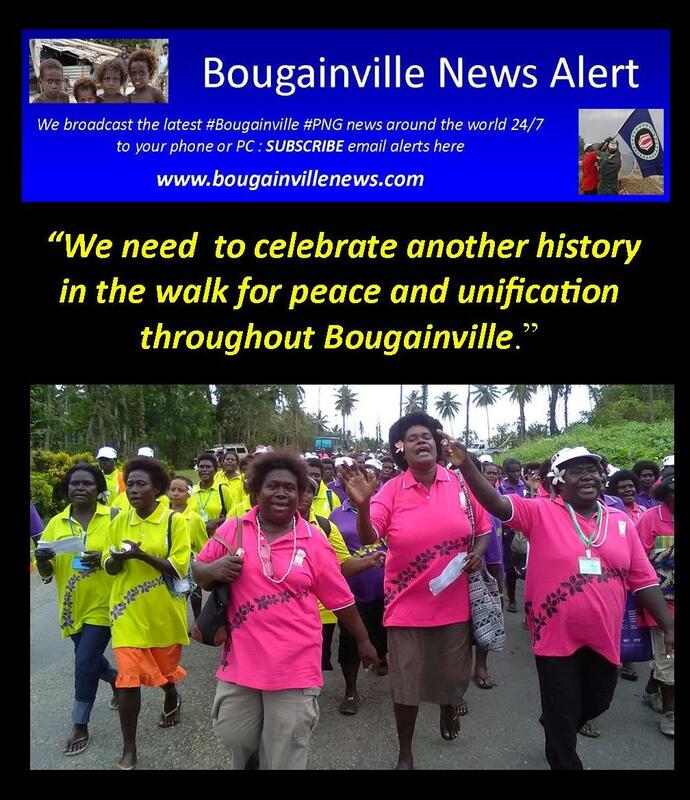 He said that Bougainville needs to celebrate another history in the walk for Peace and Unification throughout Bougainville. The Bougainville Peace Agreement paved the way for lasting peace on the war torn island of Bougainville, following the post conflict which erupted from disputes over the Panguna Mine. 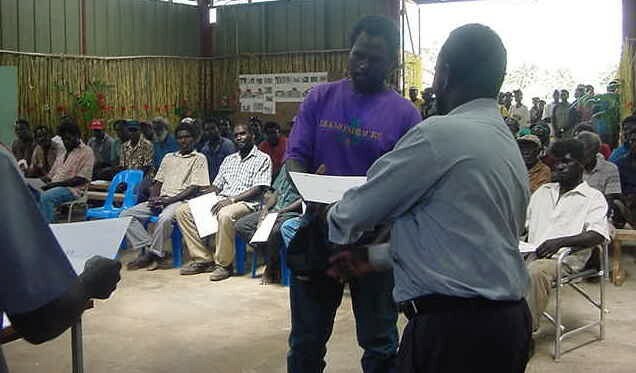 On August 30, 2001, the Bougainville Peace Agreement was signed in Arawa, Central Bougainville. 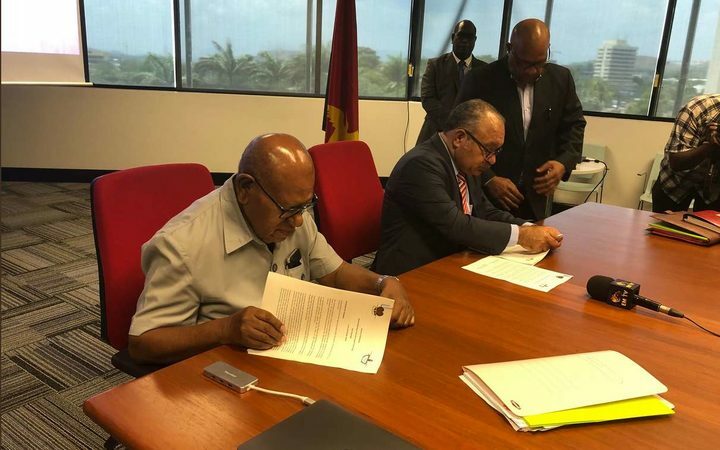 The agreement between the Government of the Independent State of Papua New Guinea and the Autonomous Bougainville Government. It was intended to further objectives of The Burnham Truce, Lincoln and Ceasefire Agreements and other agreements and understanding between both parties. It was aimed to be implemented through consultation and co-operation. Three pillars of autonomy, referendum and weapons disposal were set as guidelines for the referendum conduct in 2019. Several Government delegations from mainland Papua New Guinea visited Bougainville to restore the government’s trust and confidence to the people. Among them was Papua New Guinea’s former Prime Minister, Bill Skate, who favourably went to simply request hard liners and war loads to surrender their weapons. And that was documented in the Ceasefire Agreement. Women were at the forefront, negotiating for peace. 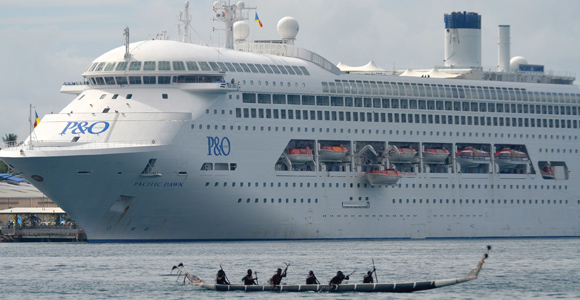 The Peace Monitoring Group comprising of Australia, New Zealand, Vanuatu and Fiji were deployed into Bougainville in 1998, and monitored the peace agreement, reported on ceasefire violations, and supported the peace process and also involved in the weapon disposal programs. 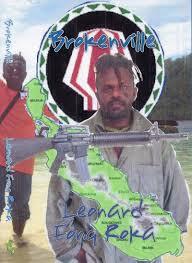 They withdraw their mission in 2000 in a ceremony at the Independence Oval in Arawa. The signing of the Bougainville Peace Agreement in 2001, allowed for the establishment of the Autonomous Bougainville Government in 2005,with Joseph Kabui, elected as the first president of the Autonomous Region of Bougainville. It’s a win-win solution and since 2005, the full implementation of the peace accord, has never been realised. 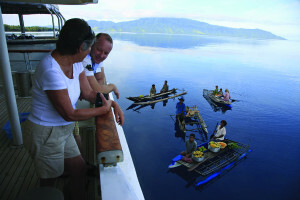 One of the major issues was with the grants owed to Bougainville by the National Government. Chief John Momis, since elected as president in 2010, he has been very vocal on matters concerning Bougainville especially the grants. In 2014, Prime Minister, Peter O’Neill paid a goodwill visit to the Autonomous Region of Bougainville. But the Joint Supervisory Meeting is another aspect that gives value to the Bougainville Peace Agreement. Since May last years, there has been no meeting as yet. The new Bougainville Affairs Minister and Central Bougainville MP, Fr Simon Dumarinu said the JSB Meeting will be a priority and should be the first agenda, as the deadline looms. Meanwhile President, Momis reminded Bougainvilleans that the signing of this important blue print document, paved the way for lasting peace on the island, following the post conflict on the island. The former Chairman of the LEITANA COUNCIL OF ELDERS during the negotiation days before the signing of the Bougainville Peace Agreement in 2001, JOEL BANAM says that LEITANA opted for Autonomy instead of the Unilateral Declaration of Independence (UDI) Declared by FRANCIS ONA in 1990 in Arawa. He made these remarks when speaking to the women of Bougainville who gathered in Buka today to commemorate the Signing of the Bougainville Peace Agreement in 2001. MR. BANAM said that LEITANA wanted to make sure Bougainville goes with AUTONOMY to prepare Bougainville for the Independence after the Referendum. He said LEITANA wanted to make sure Bougainville was united and removed guns and also raised its own funds to run the new nation. 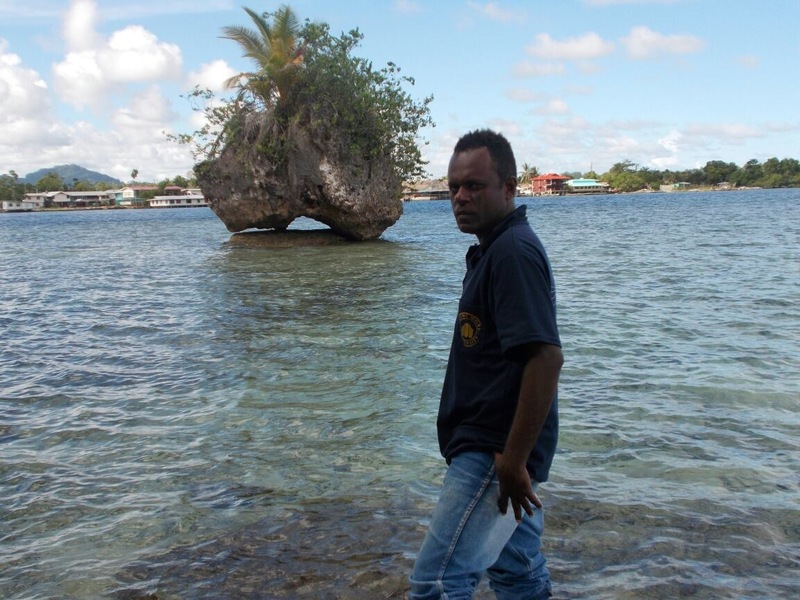 MR. BANAM said that they saw that going straight to Independence would result in more deaths and non-stop fighting that could destroy Bougainville further. Meanwhile, the former Vice President for the Bougainville People’s Congress at the time of the negotiations and now the Secretary for the Referendum office and former President JAMES TANIS confirmed comments made earlier by MR. JOEL BANAM. MR. TANIS said that the LEITANA COUNCIL OF ELDERS was needed to make sure Bougainville leaders were united and speak as one when negotiating with the National Government. The celebrations continued with extra items as more women registered items to perform. The items included String Bands, Choirs, Jimmy Shand Music and discos. 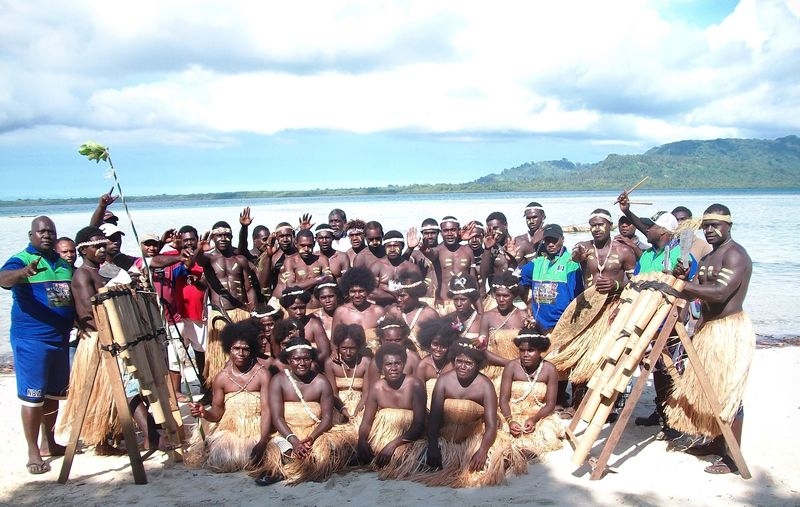 This was the second such celebration since the Bougainville Peace Agreement was signed on August 30th, 2001. 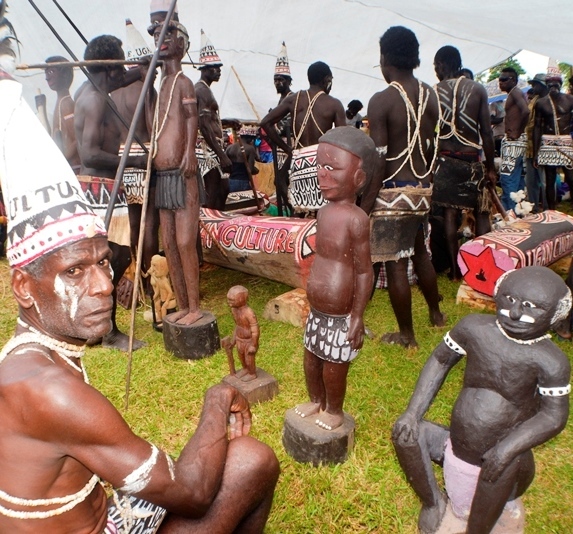 The first celebration was held in 2011 when the UN Officers from New York and PNG came to Buka to commemorate ten years since the Bougainville Peace Agreement was signed. It was then followed by a UN led Peace Walk across the NUMA NUMA TRACK starting from WAKUNAI to TOROKINA. Reporters from New Dawn FM and the local NBC accompanied the UN team on this walk. The United Nations Development Programme (UNDP) is starting a comprehensive training programme focusing on election Scrutineers, Returning Officers, and Media in Bougainville. The trainings are part of UNDP´s effort to enhance the understanding of the 2015 Bougainville general elections process, due to start from 11 May. UNDP will also be supporting the coordination of election observation groups, providing training support to women candidates, and facilitating a post-elections lessons-learnt exercise. The scrutineer training is expected to reach as many as 720 people and aims to provide scrutineers with an overview of the electoral process and their role in it so that any complaints raised during polling and counting are based on an understanding of those processes. UNDP will also facilitate small group and one-on-one training discussions with Bougainville’s 19 Returning Officers, focusing on the Office of the Bougainville Electoral Commission´s (OBEC) process for handling complaints during the polling and counting periods. The training aims to ensure that complaints about elections are resolved in a consistent, transparent, and timely manner. The media training will target local media houses. The main objective of the training is to equip journalists with the basic knowledge and professional skills that will enable them to cover election processes in a fair, balanced, and non-partisan way and through them enable citizens to become well-informed and active participants in the political decision processes. “Election stakeholders, such as Scrutineers, Returning Officers, and Media, are a key component of the wider election process. By ensuring their understanding of their role and the electoral procedures, we are promoting credible elections,” said Ray Kennedy, UNDP´s electoral support team leader. UNDP has tailored its election support following a request of the Government of PNG and the Autonomous Bougainville Government for a UN electoral assistance project to strengthen local capacity in the lead up to the 2015 elections. 28 Apr 2015The Office of the Bougainville Electoral Commissioner (OBEC) has today announced the start of a media accreditation process for the coverage of the 2015 elections.The accreditation process will start on 27 April and will continue through the elections to allow the media easier access to election officials, locations, and information.OBEC invites all interested media houses to request further details on the accreditation process from the election commission´s Media Relations unit. Together with their accreditation badge, journalists will receive an election handbook containing useful information on the election process. According to OBEC´s Acting Commissioner, George Manu, “OBEC, with the support of the United Nations Development Programme, has developed a simple media accreditation process that will enable journalists to gain access to relevant electoral events”. “This new process of media accreditation is one further step to pave the way for credible and transparent elections, according to international election standards”, Manu added. OBEC is the entity responsible for the administration and conduct of the Bougainville 2015 general elections, to be held from 11 May. UNDP is providing support to the OBEC’s media accreditation process as part of its wider work on supporting the Autonomous Bougainville Government in upholding general elections scheduled to take place in May-June 2015. Specific assistance will be provided to the areas including: the development of step-by-step prioritized electoral support plan; provision of technical guidance on implementing the support plan; coordinating the deployment of international observers; training of election scrutineers; developing training materials and providing hands-on training for female candidates and more. Project is implemented by UNDP in partnership with its sister agencies and will run from March to July 2015. 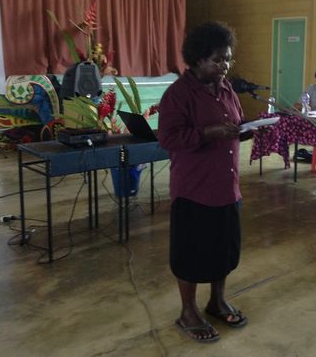 Bougainville Women’s Federation Survey : Why young women aren’t showing an interest in leadership roles. 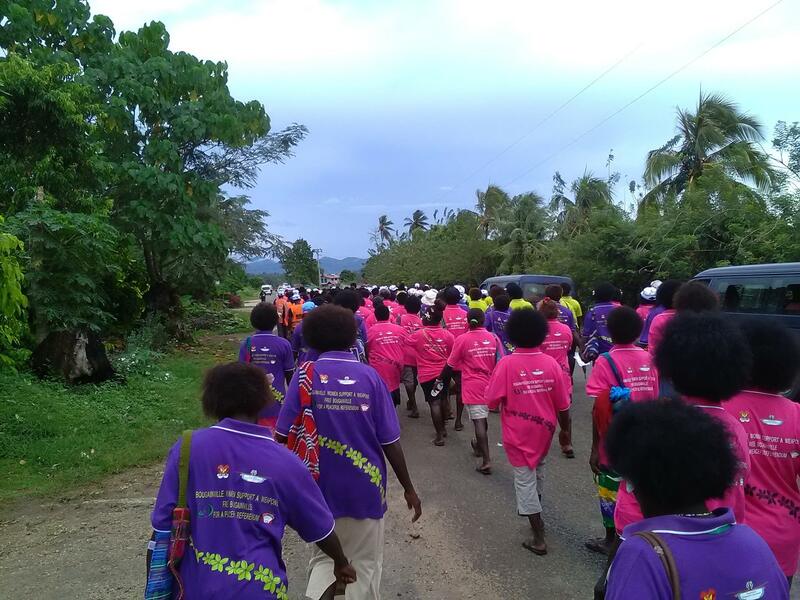 A survey is being carried out of young women on Bougainville as part of a young women’s leadership programme. 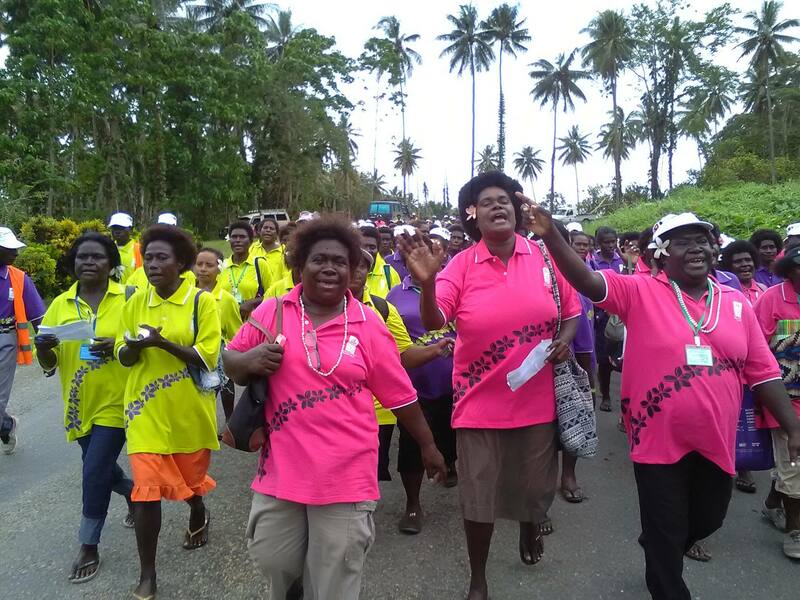 The project is being undertaken by the Bougainville Women’s Federation and is trying to gauge why young women aren’t showing an interest in getting involved in women’s organisations and leadership roles. 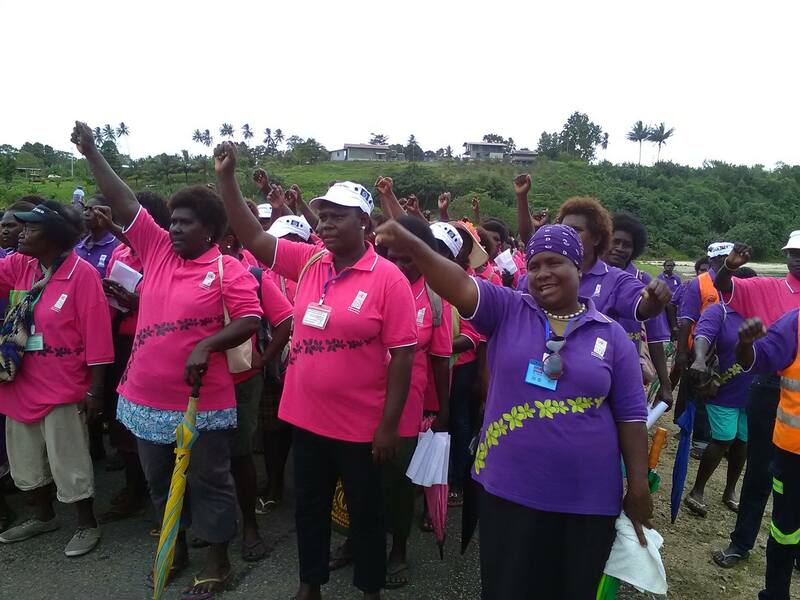 President of the Bougainville Women’s Federation, Hona Holan (pictured above) , told Jamie Tahana the project is mainly to find out young women’s interests, and the barriers that keep them from getting involved. HONA HOLAN: We are coming together tomorrow to look at the results of the survey. By tomorrow we should put together the results. 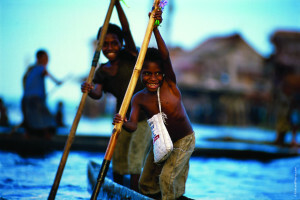 The survey was done by the young women of Bougainville with their siblings at the age of 18 to 35. JAMIE TAHANA: Tell me a bit about this survey. 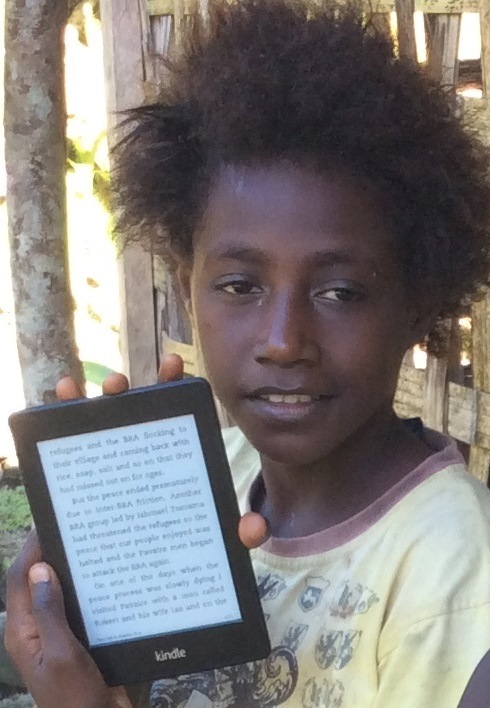 You’ve surveyed how many young women of Bougainville and what did you ask them? HH: The questions were on if they know about Bougainville Women’s Federation. If they work with other NGOs or church groups and if they are not involved with groups, what are their problems, what are their issues. JT: Okay. 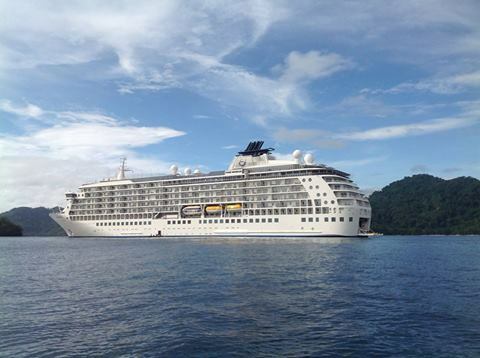 And so this is to address a lack of women in leadership roles in Bougainville is it? HH: That’s right. 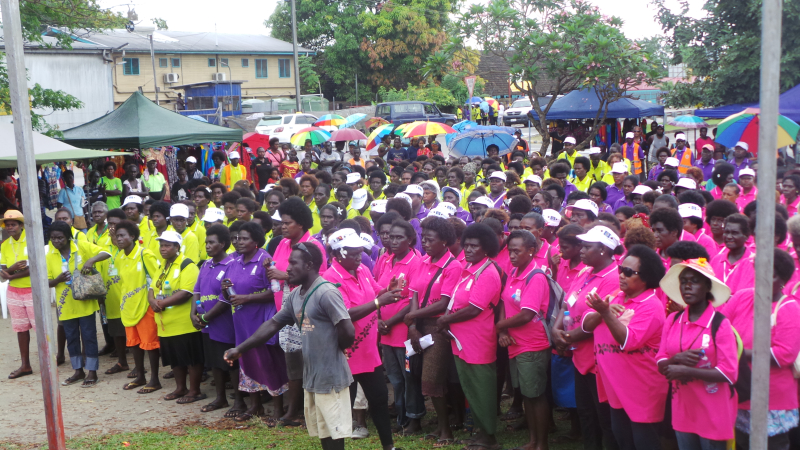 This Bougainville Women’s Federation, it’s looking at building the capacity of young women to be leaders of tomorrow. Like making space for them so that we mentor them and they can take our place when we move out of the leadership. JT: Why do you think that is? That there aren’t so many women in leadership roles. What are the barriers here? HH: Maybe the barriers are, young women are not interested in activities that we put out. Some questions that also went out to them is what are their interests or how we can get put their interests over so they can join in. JT: Why is there no interest? HH: We asked some of the questions around that and the young women were telling us that we are not giving them space. The older women, the mature women, are not giving them space, so that is what we found out from our survey. JT: Once you get these results, what are you going to do from there? HH: We are going to share it with the ABG and partners, like development partners, and then we can develop activities to affect, like building capacity and so on, we need to develop activities. It’s not easy because Bougainville Women’s Federation, we don’t have funding and it’s not easy so we need to share the results with other NGOs and the government of Bougainville and Papua New Guinea so we can all see what the young women are interested in. Some of the results are they need education, they need to further their education. The first ever three-days TUIRUMA FESTIVAL ENDS IN HIGH NOTEthat was held last week in Buin ended in high note with participants and the public wanting a permanent date set to attract more local and overseas tourists to visit the show in future. The show was officially closed by the ABG member for BABA, WILLIAM SILAMAI who called on all participants and the people of Buin to maintain the good example they set during the festival to show unity of all Bougainvilleans. MR. SILAMAI said that the smiles in all the participants faces only indicate one thing that is all were happy to be part of the three- days show. MR. SILAMAI said that as declared by the co sponsor and member for South Bougainville, STEVEN KAMMA PIRIKA to rotate the venue they would prepare for the next show to be held in Siwai in 2015 and BANA in 2016. The Show has 44 cultural groups, Arts, Crafts and carvers who were also excited to be part of the first TUIRUMA Festival. 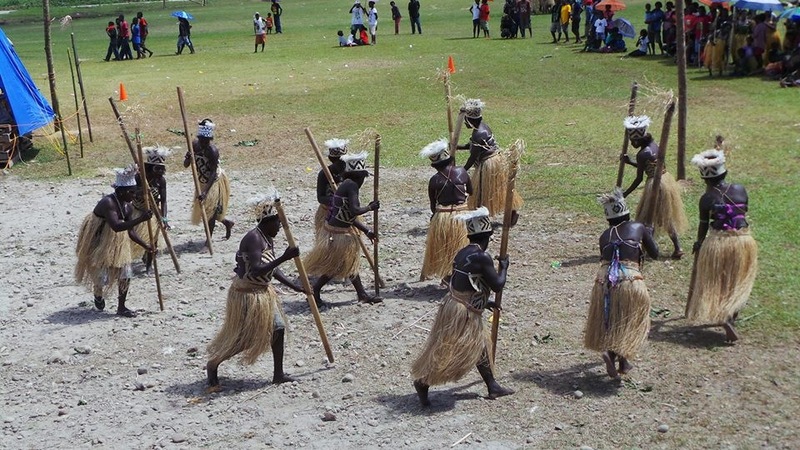 In his opening remarks the ABG President, Chief DR. JOHN MOMIS said that cultural festivals is one sure way of uniting the people of Bougainville and his government will continue to support them in the future. The Member for South Bougainville, STEVEN KAMMA PIRIKA also pledged ONE MILLION KINA in the next five years. 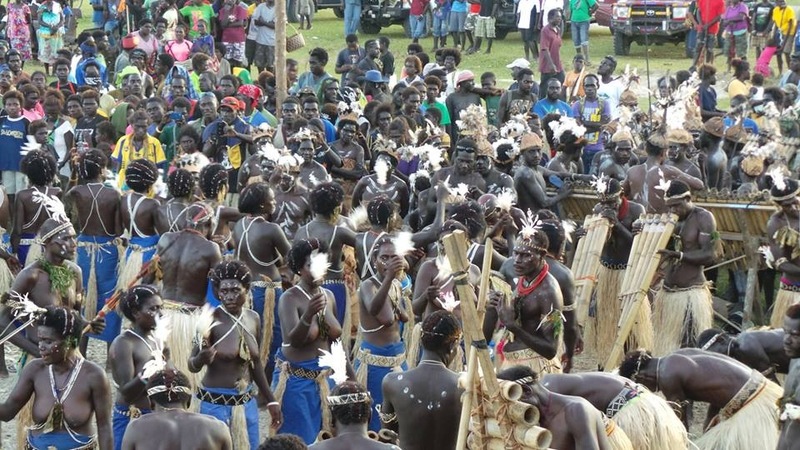 The Regional member for Bougainville, JOE LERA also contributed funds towards the staging of the TUIRUMA Festival and said that he was also committed to fund the Tuiruma festival and other festivals throughout the region. Meanwhile, New Dawn FM managed to talked to several people regarding the three-days Tuiruma festival. 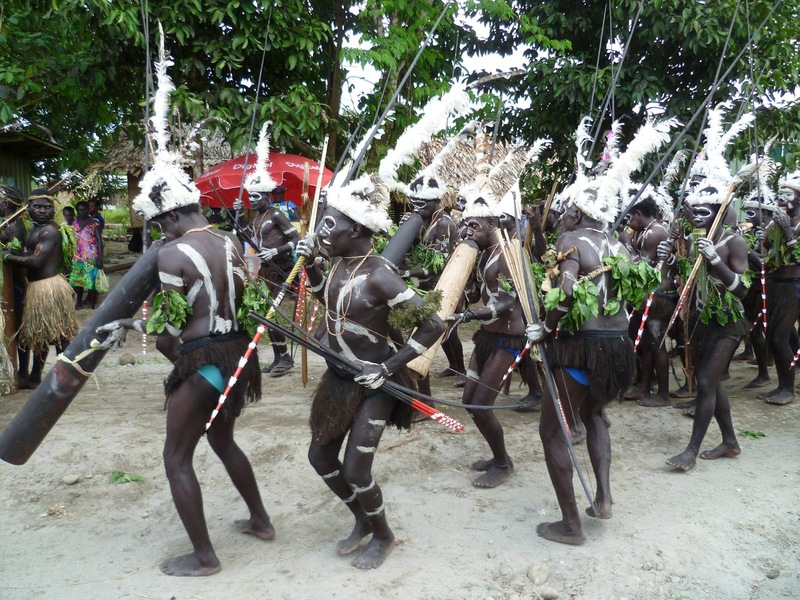 Police Commander for South Bougainville, Commander JOHN POPUI praised the people for maintaining peace throughout the festival. 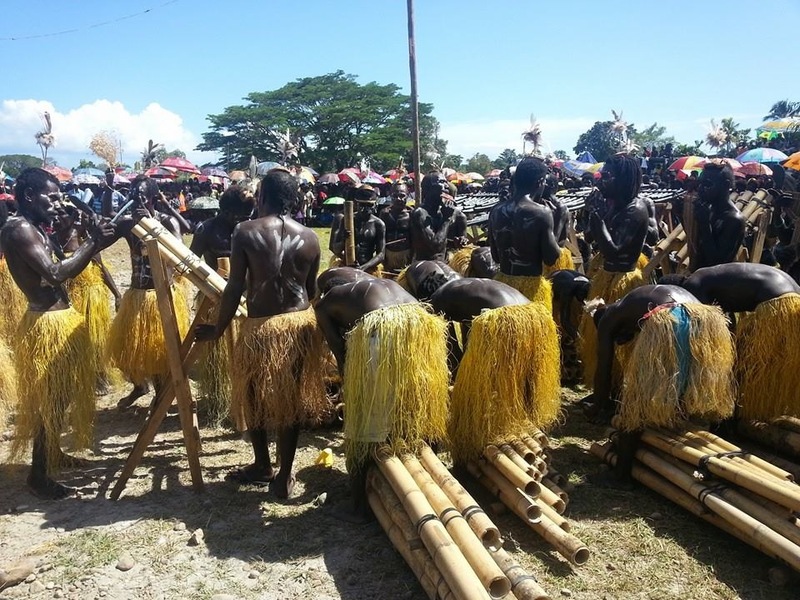 He told New Dawn FM in Buin that 46 police personnel were engaged to look after the festival with the support of the South Bougainville Veterans Association. One church worker said that the festival made it possible for their group to meet many people and a Businessman said that he had made extra monies during the festival. 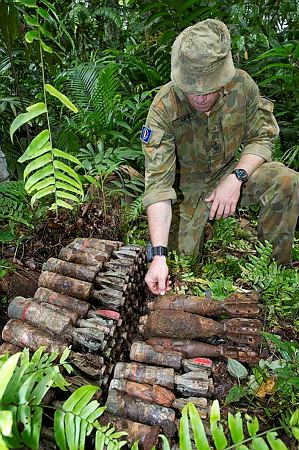 Australian soldiers have cleared more than six tonnes of unexploded hand grenades and mortars from a World War II battle site on the island of Bougainville, east of Papua New Guinea. The huge haul of munitions came in just the first week of Operation Render Safe 2014. 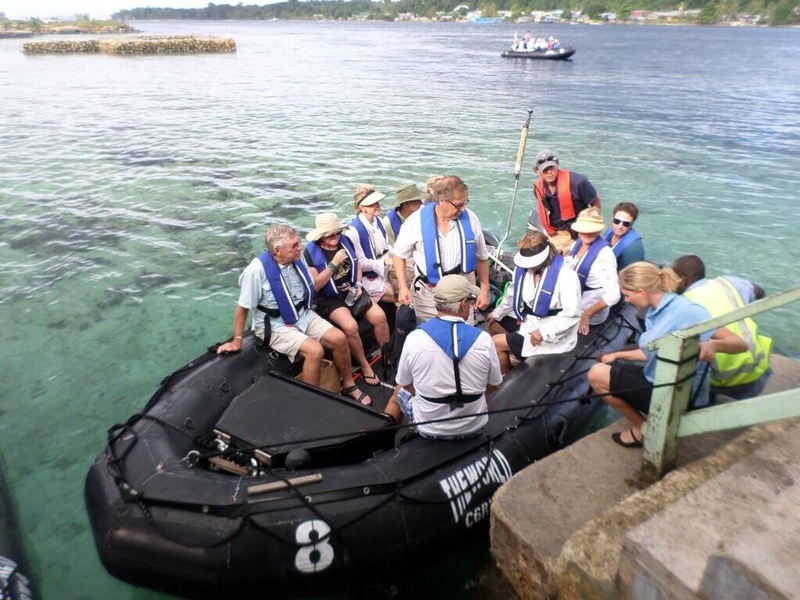 The Australian-led international mission is clearing potentially deadly munitions from the villages and food gardens around Torokina, on the west coast of Bougainville. The Australian Army said the sheer amount of rusty old munitions surprised even seasoned explosive ordnance disposal (EOD) experts. “They are mostly two-inch-high explosive mortars and hand grenades, in varying conditions, left in place after the war,” EOD operator Warrant Officer Class Two David Austin said. An Allied air base was built at Torokina by the US in 1943 and was the launching place for Australian ground attacks against the Japanese in 1944-1945. 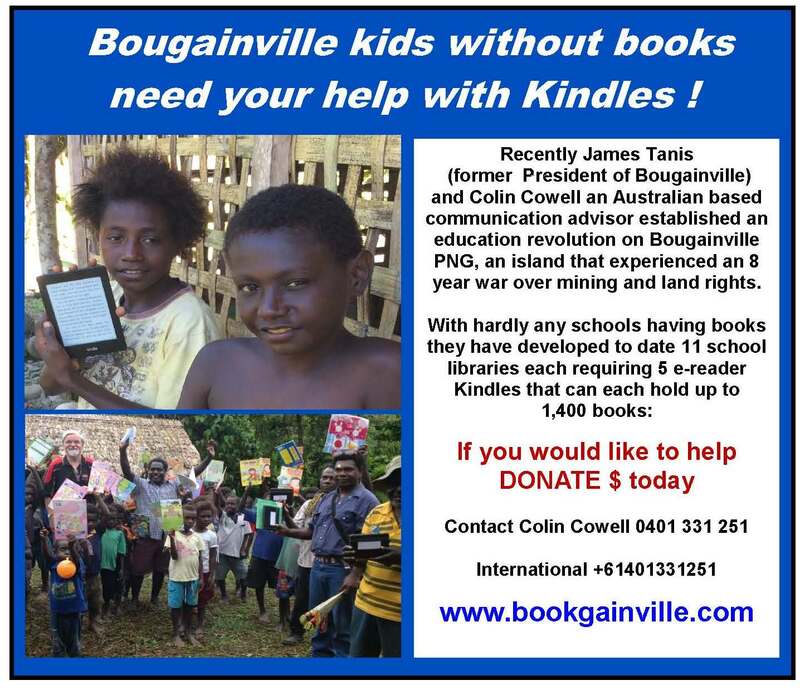 More than 500 Australians died and 1,500 were injured in the Bougainville campaign. Seventy years later, the Australian army has returned to clean up the deadly remnants of war. More than 500 Australian military personnel are involved in Operation Render Safe 2014, with support from HMAS Choules, an MRH90 helicopter, landing craft and amphibious vehicles. With little infrastructure at Torokina, soldiers have landed vehicles on the beach and trekked into the jungle to look for unexploded ordinance. Despite five months of awareness-building activities, there were criticisms of the munitions clearance by some former combatants in the more recent conflict on Bougainville. 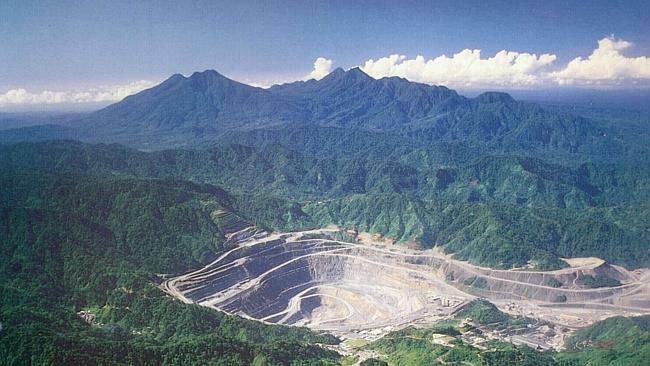 Australia’s role on Bougainville is still a sensitive issue due to the civil war in the 1990s, sparked by disputes over the Panguna mine, operated by Rio Tinto subsidiary Bougainville Copper Limited. “Former combatants have said that this operation is a breach of the Bougainville Peace Agreement, but I had explained to them that the operation… enhances the peace that the people of Torokina want,” said Patrick Nisira, vice-president of the autonomous government of Bougainville. Australian army personnel said the reception on the ground had been friendly. “The people of Bougainville have been most welcoming and we have been working very closely with them to identify explosive remnants of war which pose a threat to local communities,” operation commander Captain Jay Bannister said. Members of the Bougainville Police Service and locals have helped soldiers locate the munitions storage pits, with assistance from explosives experts from the US, UK, Canada, News Zealand and Solomon Islands. “As well as helping the community, this is a great training opportunity for the younger EOD guys,” Mr Austin said. The mortars and hand grenades were stacked in pits and destroyed by a controlled blast. Operation Render Safe 2014 will end on 8 November. Previous Operation Render Safe missions have removed unexploded ordnance from Solomon Islands and Rabaul in Papua New Guinea. The Autonomous Bougainville Government’s Bureau of Media and Communications has bought a Suitcase radio that will be used to carry out awareness throughout Bougainville. Following this MOU a support grant of FOUR MILLION KINA was pledged to support NBC Buka to reach the entire region. The FM radio similar to the one used by the Bougainville Revolutionary Army, Radio Free Bougainville during the height of the Bougainville conflict will be moved from locations to locations to carry their awareness program. According to reports gathered by New Dawn FM this is funded with TWO MILLION KINA by Department of Foreign Affairs and Trade (AUSAID) (DFAT). 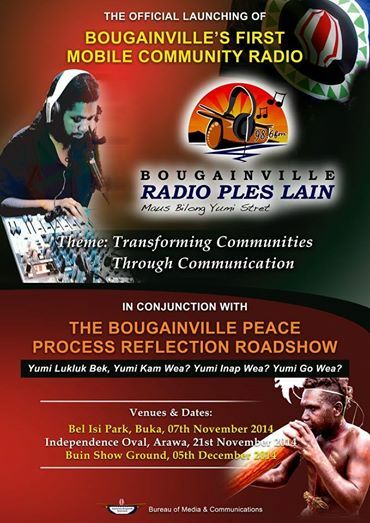 The new radio CALLED “Radio PLES LAIN” will be launched at the BEL ISI PARK on November 6 and 7th, 2014. They have been testing their signals in Buka on 98.6 Megahertz on the FM BAND.